Check it out and try one way or the other, even if you are not vegan or have a lactose or casein intolerance. It is worth it! Fill everything in the blender and blend until everything is a uniform milk without pieces. The amount of water and dates can vary. Depending on how thick and sweet you like the milk. It keeps for a few days in the refrigerator. 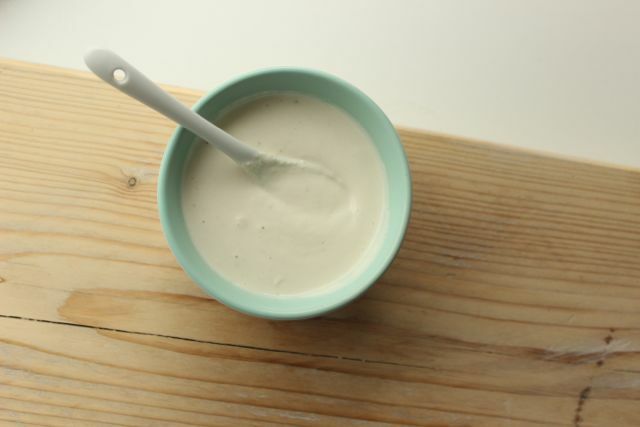 Cashew cream or „Creme Fraiche“ is also very easy mixed together. And if I’m really in a hurry, I make it without soaking the cashews before. Then it’s just not as creamy. I use it for sauces and soups. Fill everything in the blender and blend until a uniform mix has formed. Here you can also vary the amount of water somewhat, depending on how thick you want to have the cream. 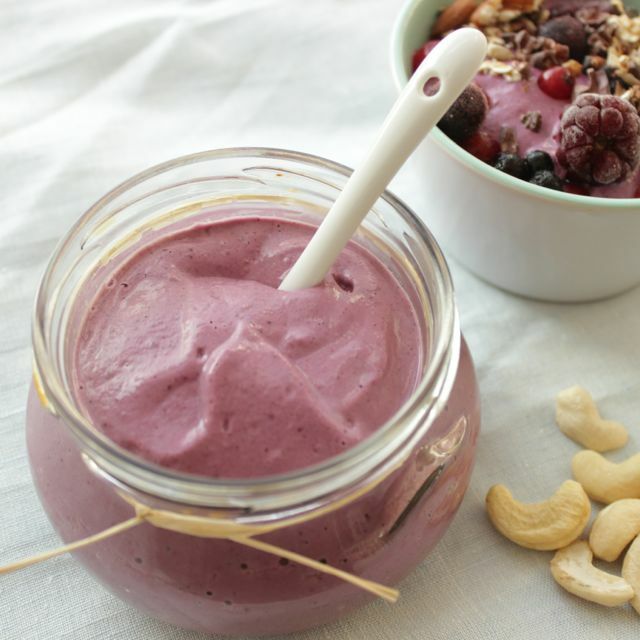 The cashew yogurt is one of my highlights at the breakfast table! 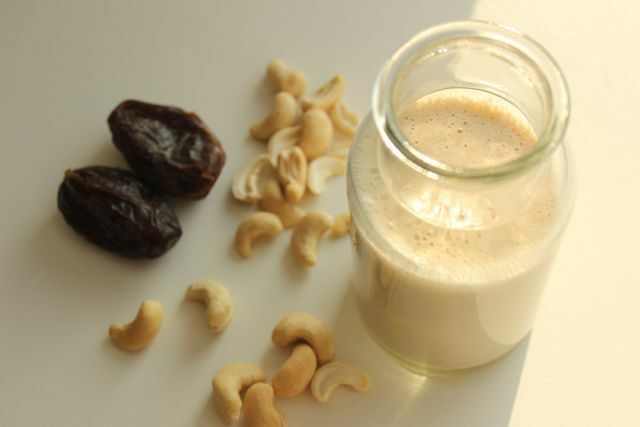 Blend cashews with the frozen fruits for 1-2 minutes at highest speed until a smooth paste forms. Add the remaining ingredients and blend again until it is nice and creamy. Season to taste, (add more berries, maple syrup, lemon) and that’s it. 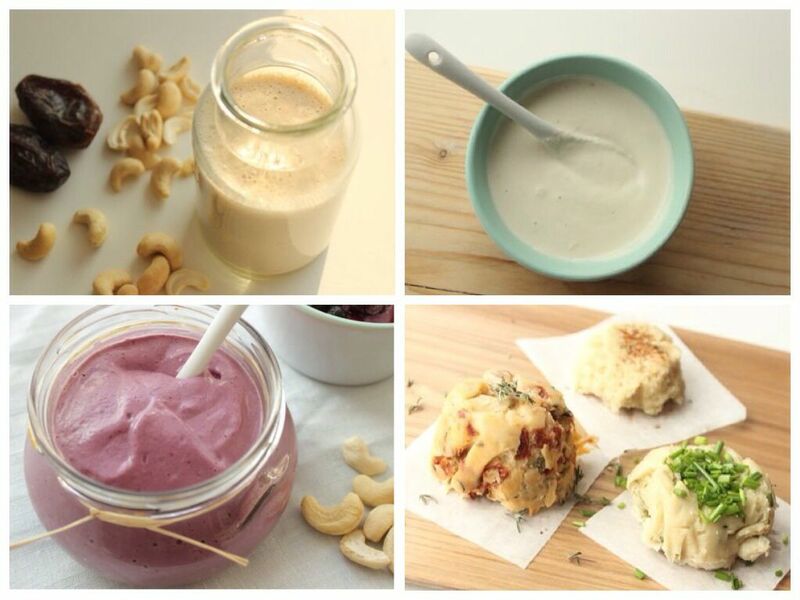 The cashew cheese is king! Really, this is sooo awesome! It is not really comparable to cheese, because the consistency is different, but it tastes cheesy and you can spread it on bread or use it to make a gratin. If you bake it, it looks like in the picture (a bit like bread with cheese flavor). If you don’t bake it, it is like cream cheese. On the picture you can see three variants. One without anything (sprinkled with pepper and paprika), a variant with chives (in and on the „cheese“) and and my absolute favorite: with dried tomatoes and thyme. You could add 1 tbsp nutritional yeast (which makes it even more „cheesy“), but my stomache doesn’t tolerate the yeast well and I think it also tastes great without. Combine all ingredients in a blender blend until a uniform mass is formed. Place the mass in the refrigerator overnight. 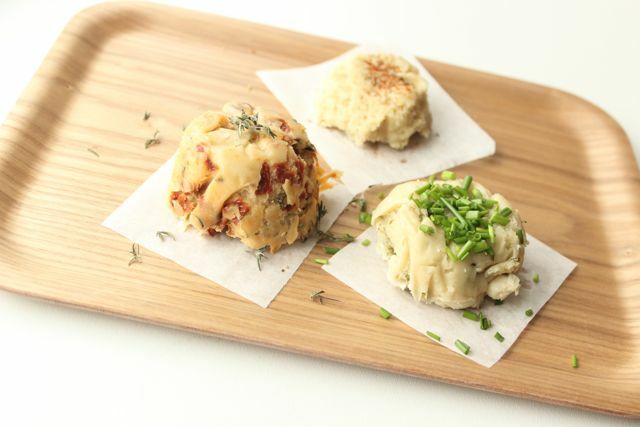 Optional and highly recommended: line one or more teacups with baking parchment, fill with cream cheese mass and bake for 80 minutes at 100 ° C. Then remove from the oven and sprinkle with herbs.